comes the following thoughts, handed-down, over the years verbally and memorialized within student handbooks of various Goshin-Do Dojo. The relationship of a Sensei to the dojo is very difficult to define, as it encompasses many aspects of life. The Sensei must flow through the student in many levels of communication and reach to the far corners of the student’s life. A Sensei is a father and at some time a mother; an advisor and a chastiser. A Sensei, though different, is the same as everyone else; he is human in a controlled way and deserves respect, for he has traveled long upon the “Do” (Way). A Sensei should be a good teacher by conveying, at the correct time, the appropriate knowledge in the best possible manner to the student and must be able to see the students and their problems as they never can, impartially. A Sensei shows no favor, indeed as progression is attained, he becomes harder on those that progress. He is kind but firm to the beginner on the path. The Sensei advises, in an appropriate manner, in the spiritual aspects of the art and is always a friendly ear, who listens but is not always moved. Many people are unable to see a Sensei properly as they tend to categorize him into either a teacher or a friend; he is neither but both and more. He sees a student in a free way, unmoved by the external face or appearance and he helps in the best was befitting a student. If this is to be hard, he is so; to be soft, then he is so. But always it is in the nest manner for the student, for the Sensei’s heart is forever with them. Often a Sensei may test his students by taking views diagrammatically opposed to theirs and then study their reactions. Silence is often the best form of praise that Sensei will give to his students. He will note what affects the students in an out of the dojo, how he acts to his friends, his family and his work and will act upon his students accordingly. The Sensei will say nothing when he should speak volumes. He is King when there is no apparent reason. He may be tyrannous or compassionate, but through all these externals his heart is still for them. He listens when they speak, but can see the inner reasons for their speech; he is unmoved but can move. The Sensei is forever active, even in a subdued way. He gives while others take and asks no rewards save proficiency of mind and body. He is sad, sometimes happy, let down and often abused, but forever he holds to the Way, for that is his life. Though outsides may change, the Sensei does not, though he can adapt at will completely, the inward ideals and principles are always there. He persists when there is no apparent reason, that is why he is Sensei. On average it takes 2,000 students to produce one (1) worthwhile Sensei. If you have one, take care of him. For more on either Sanchin Kata as meditation or my new book on Sanchin Kata, please feel free to visit the “Sanchin Book” page of this Blogsite, or my website WWW.Dynamic-Meditation.Com. Many of us sacrifice aspects of our lives in pursuit of our chosen art, hobby, sport or other such endeavor. There are times when we seek to understand the cause of such sacrifice. Perhaps our desire is merely motivated by self-indulgent reasons. We may attribute our desire to explore such pursuits to a quest for self-exploration as a path to self-improvement. Perhaps. But, as my computer keyboard spews these words to you at 3:21 in the morning, I submit there is perhaps more to our sacrifice. I was once given a gift that sheds light upon the path of sacrifice, dedication, devotion and obsession that has come to represent my quest in Karate-Do. The gift is a poem. 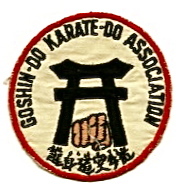 It has transcended time to remind me that there is more to my exploration of Karate-Do than just the “Me” aspect. The poem was given to me many years ago at the Dojo which was then located at 500 Tenth Street in Palisades Park, New Jersey. The author is a unique person in my Karate lineage. His words shed light upon my Karate-Do “raison d’etre“. I submit the poem to you in the hopes you may come to understand that the sacrifices you make in pursuit of your art are not all attributed to self-indulgent needs. There is a time when a practitioner evolves into that which is practiced. The evolutionary process imposes a trust upon the practitioner. A form of bond evolves whereby the practitioner becomes a guardian of that which was once practiced for selfish reasons. In Karate-Do, the personification of this evolutionary process, is referred to by the title “Sensei”. I hope you appreciate the words of one such Sensei. IT WAS PASSED ONTO US SO THAT WE MAY PASS IT ONTO OTHERS. RATHER LET THE WAY GUIDE YOUR EGO. (see Endnote # 1). To all those that have evolved into caretakers of that which they practice, I hope you appreciate the above. It has a special place in my heart. Until the next article, I remain a Sensei, a mere caretaker, hoping that I continue to measure up to the task entrusted upon me. 1. 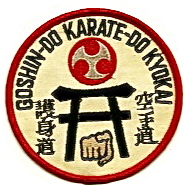 From my private collection and reproduced in Szmitkowski, John, Goshin-Do Kata-Jitsu, Volume One: The Basic Kata, (Issho Publications, East Rutherford, NJ 1997). 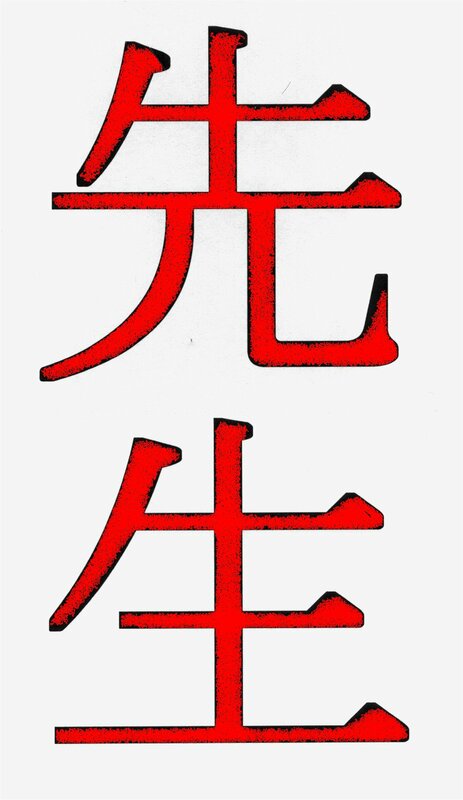 Please feel free to visit Sensei John’s new online store containing various Jiriki Kata-Do products with the unique logo of Sanchin. 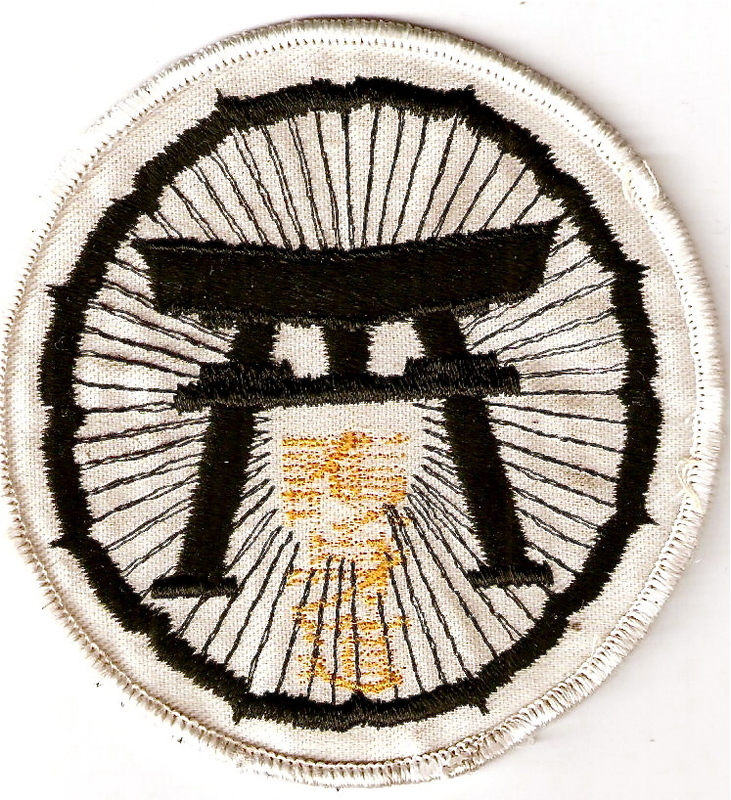 The Sanchin logo depicts the three battles of Sanchin in a new contextual paradigm. 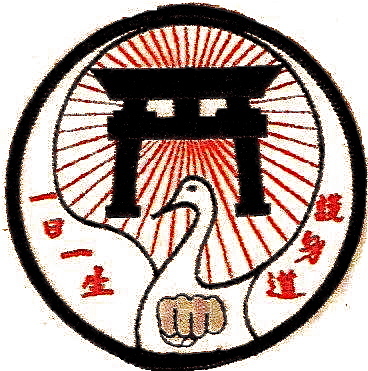 You may find Sensei’s store by clicking the following link http://www.cafepress/sanchin_logo..
For more information on my ideology and methodology of Jiriki Kata-Do, please review the articles herein filed in the category “Kata as enlightened meditation“.